Associate Professor Guy Johnson is Director of the Centre for Applied Social Research at RMIT University. Guy has been involved in the area of homelessness for over two decades, initially as a practitioner and more recently as a researcher. Guy’s research is focused on theoretical and applied questions relating to the dynamics of homelessness – why some people become homeless, why some people remain homeless, and why some people exit homelessness. Guy has co-authored a number of books including ‘On the Outside: Pathways in and out of homelessness’ and ‘Young People leaving state out-of-home care: Australian policy and practice’ and has published over 50 reports and refereed papers, as well as 8 book chapters. 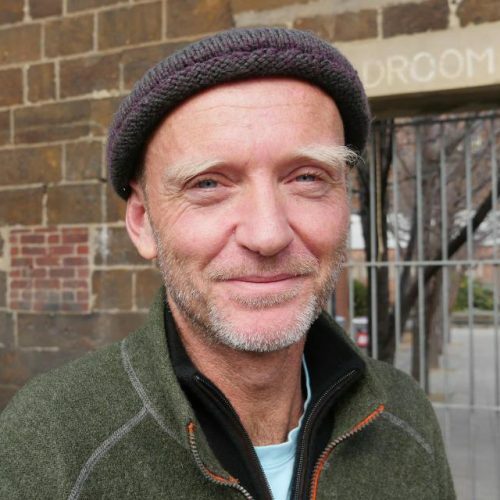 In 2009 he was awarded the Norman Smith Publication Award for the best research article in Australian Social Work for his paper Homelessness and substance abuse: Which comes first? (with Chris Chamberlain). Guy recently spent 12 months in the US as a Visiting Scholar at the School of Social Policy and Practice, University of Pennsylvania and is currently an Honorary Research Fellow at The Melbourne Institute of Applied Economic and Social Research, The University of Melbourne. He has won over $1.5m in competitive and contract funding, and is currently involved in three longitudinal studies. Housing, homelessness, substance abuse, stigma.